I've just returned from a few days holiday down in the Nation's capital, Canberra. Home to Richard Foote and Marcelle Kratochvil, our local Oracle ACE's. It's about 300 kms from our home, which is a bit of a long drive (especially if you are stuck between an eight-year old and a five year old - who turned six today). On day one, we went to Parliament House and happened to bump into the parents of one of my daughter's team mates from last year's soccer. We did the mutual expressions of surprise, muttering "Small world" and went on our way. The day after, in the playground of the Camping/Cabin park, a boy shouts out "Hello Adam" to my son. That boy was in my son's indoor soccer team last season. No expressions of surprise there as eight year olds don't don't consider the liklihood of bumping into neighbours after travelling a couple of hundred miles. A couple of days later, at the War Memorial, my mother-in-law (on holiday with us from Bristol, England and over 10,000 miles from home) sees a couple of her neighbours. Small world again. The point is, with a large enough data set and transaction volumes, even things that are pretty unlikely will crop up on a regular basis. But if anyone suggests testing for them before hand, those test cases will be dismissed as "too unlikely". As for Canberra, the Questacon will keep kids amused for five to six hours. The Art Gallery, less than an hour (but I was more than ready to leave there by then anyway). The National Museum can take another day, even with a chunk of exhibits missing for redevelopment (including Phar Lap's heart - a famous Australian horse from New Zealand poisoned by the Americans). The Parliament Building can be done in a couple of hours unless you've really got a thing for Australian politics (or get into discussing Harold Holt conspiracy theories). A boat trip on the lake is about an hour, but the kids got to drive so gets a bonus point. The War Memorial museum is a bit much for young kids, but I could easily do three or four hours a day for an entire week. By coincidence and not design, we were there for Summernats. 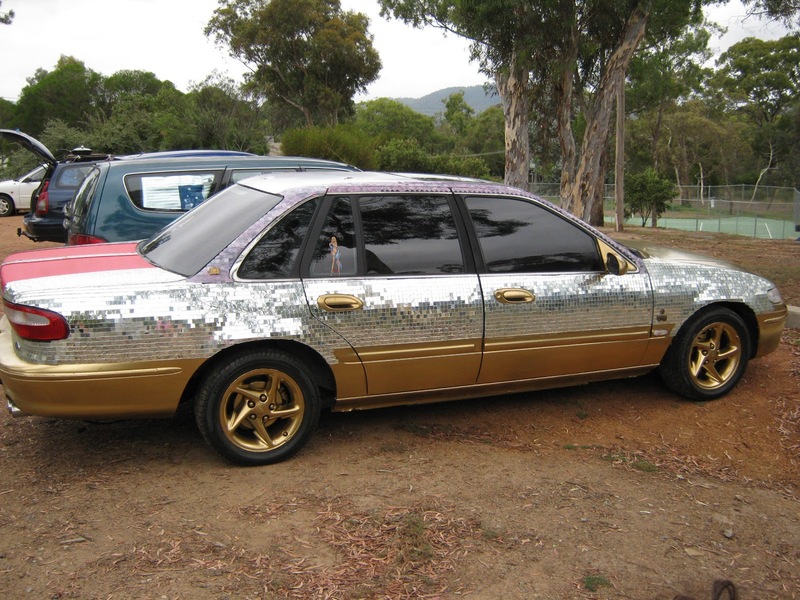 We avoided it mostly, though there were a few blinged up cars at the holiday park. But for the eighth time the winner of the national burnout masters was....Gary Myers. Congratulations to my namesake.